Normally, vent pipes are located at the basement of your house and it is used for pumping air into the rooms within your house as well as circulating the air out. People tend to install vent pipes in the basement walls or on its ceilings thus in order to cover the vent pipes, you will definitely need a special type of cover. One way of covering the vent pipes is by using floor vent covers where you can slip it into the vent pipe and let it stay in position of the vent pipes. However, if the floor vent pipe covers is not secured properly, it will slide out of your vent pipe. Remember to use the right kind of tools so that your vent pipe cover stays securely in its position without moving. 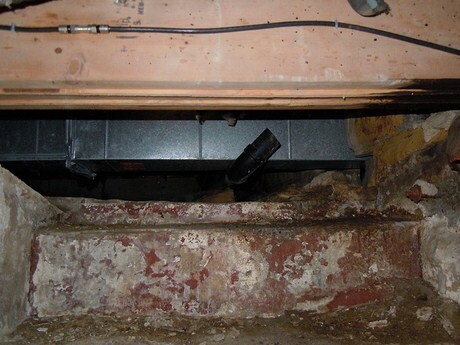 Vent pipes, which are left exposed will make your finished basement look awkward. First thing that you need do is to measure the length of your vent opening by using your measuring tape. You need to determine the right size of cover to use for covering your vent pipes. Exposed vent pipes can also be painted according to your finished basement wall color. By doing this, you would be able to disguise the vent pipes whenever you would not be able to hide the pipes. Once you get the right size for the cover, you can purchase a vent cover which is suitable for covering your basement’s vent pipe. Depending on the type of your vent pipes that you want to cover, you can choose either a heat register cover or even a cold air vent cover. If you use cold air vent covers, you will not encounter any dampers on the cover and help you circulate the air within your room. However, you will find heat register cover will produce dampers. Nowadays, vent pipe covers are made with dual function where it can be both heat register covers and cold air vent covers. In order to make it look nice with your finish basement, you can also choose a color and design, which is similar to your basement décor. Around the edge of your wood vent cover, you need to drill pilot holes in order to secure the screws through it. If you are using a metal vent cover, make sure that you use pre-drilled cover. As for small standard covers, you just need to drill one pilot hole at each of the cover’s end. But for a much larger covers, you need to drill a hole on each of the side plus also another two holes on each length if they are really large and heavy. Finally, you need to install the cover right onto the ceiling around the vent. It must be securely screw by using appropriate screws via the pilot holes and also into the ceiling. If you have drywall ceiling, you should be using drywall type of screws. Another option that you can do to finish basement vent pipes is by creating a small moveable bookcases that you can placed in front of your vent pipes. You need to mount the bookcases on casters for quick access and easily to move it around whenever you want to do some maintenance work on the vent pipes. You can also hide the vent pipes with green plant or even hang grow lights from above your ceiling in order to keep your garden blossoming throughout the year. Make sure the green plant is easy to grow and maintain. You can even wrap your vent pipe with green tape to further disguise the pipes and create a real look of your green plant. In addition, you can also make use of a folding room divider screen and place it to cover the vent pipes completely. The divider should match the décor that you decide to use for your finish basement. You need to use decorative screws that match your vent cover and basement décor. You will find that some of the covers available in the market are designed with clips that would be able to expand inside the vent and it does not require any screws to secure it. However, this will only work with small vent only. If you decide to use cold air vent covers, you will notice that it comes with filters right at the back of it in order to reduce the quantity of hovering dust.